Jesus is a D2 and a member of MU ASDA’s Events Committee. Continue reading below to find out what future events are coming our way! “All work and no play makes Jack a dull boy.” While we may not have Jack Nicholson chasing us down like a scene from The Shining, dental school may sometimes feel like its own scary movie. All work and no play in dental school can really take a toll on your mental and physical state. Therefore, one of the things I love to tell people is “the best thing you can do for yourself in dental school is not be in the dental school”. It is important to find outlets to get out of the school, not worry about studying, and not be down in sim lab doing preps and never-ending lab work. While your individual classes may occasionally plan class events, ASDA events truly bring all four classes together. 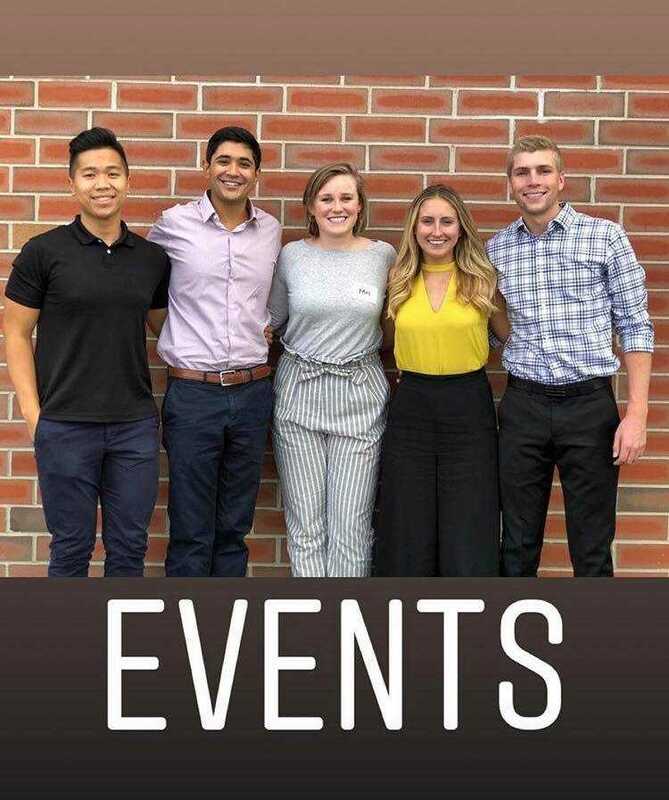 The MU ASDA Events Committee works together to host multiple fun events throughout the year for our members to enjoy. One of my favorite memories from last year was ASDA’s Family Feud event. Members from all four classes were gathered at the Annex eating, drinking, and getting competitive with the Feud. If you ask anyone that was in attendance, I guarantee that they had the best time! With all of the stress that comes along with dental school, everyone deserves a break and the Events team wants to get you out to have fun with all the classes and get to forget about school for a little while. That being said, we’ve got something coming up *wink*wink*. We hope you’ll join the Events team this year at Stache Bash for a great cause and a bunch of fun!